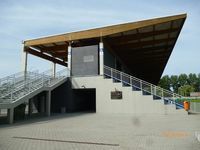 The first stadium in this location was built back in 1970, but its embankment stands weren’t redeveloped for decades, resulting in very poor condition upon entry to the twenty-first century. 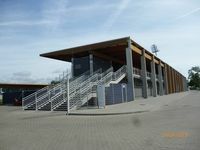 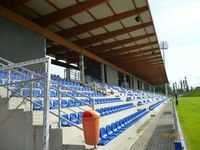 Complete revamp began in autumn 2009, when the old structure was demolished, making way for two new stands with complete cover. 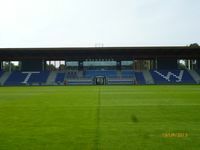 Final touches were made in May 2011, just days before first games. 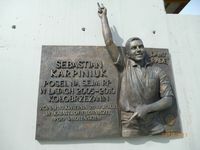 During construction the stadium was named to honour Sebastian Karpiniuk, Polish MP killed in the 2010 Smolensk presidential aircraft disaster. 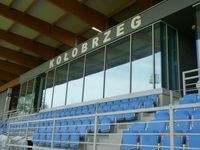 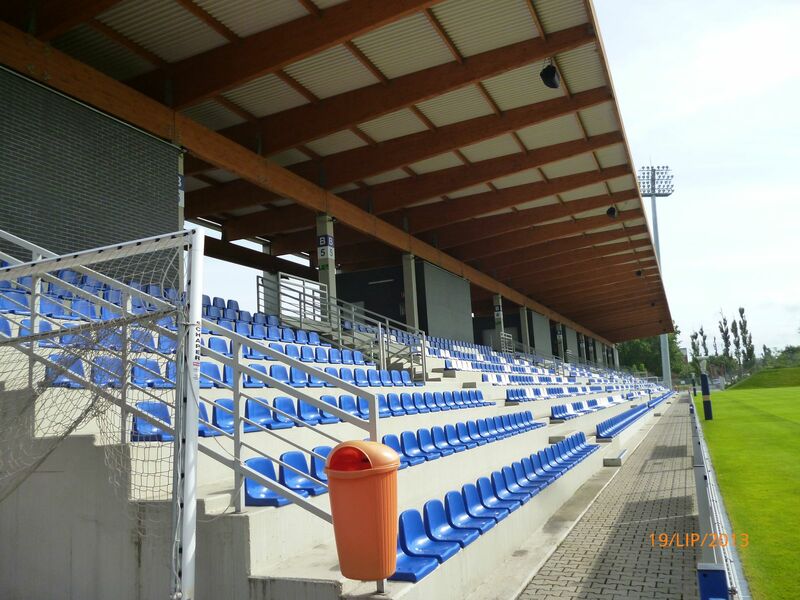 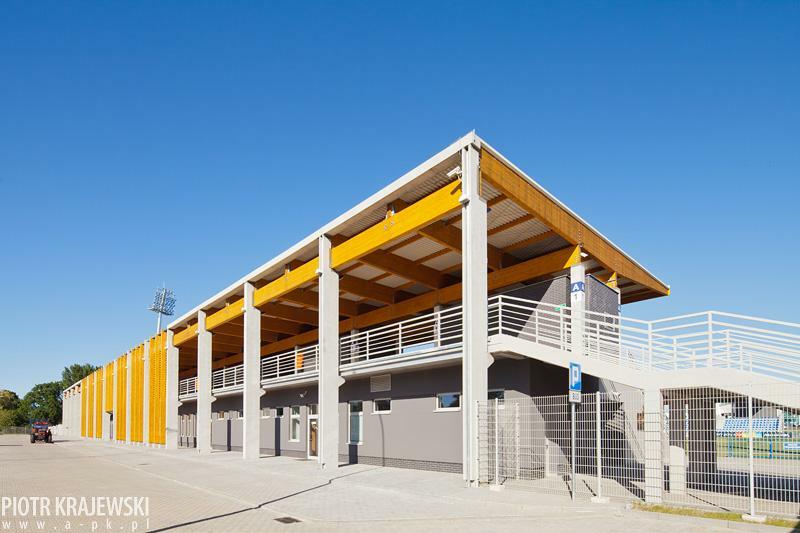 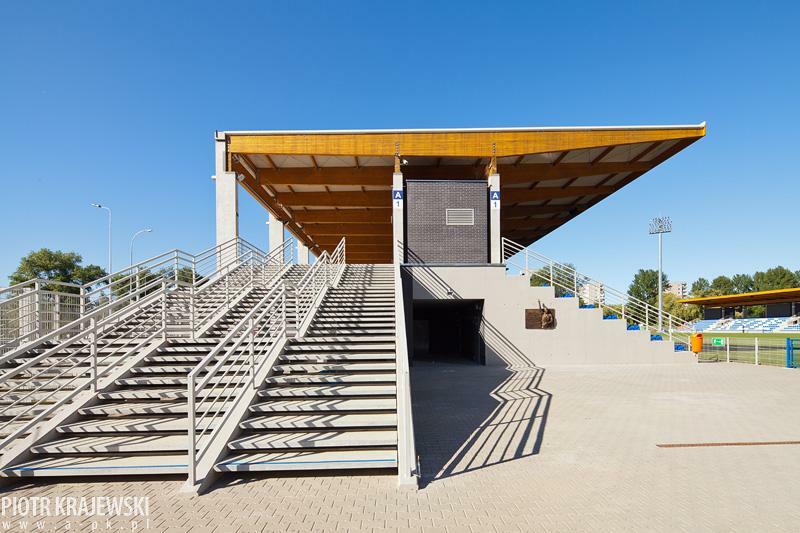 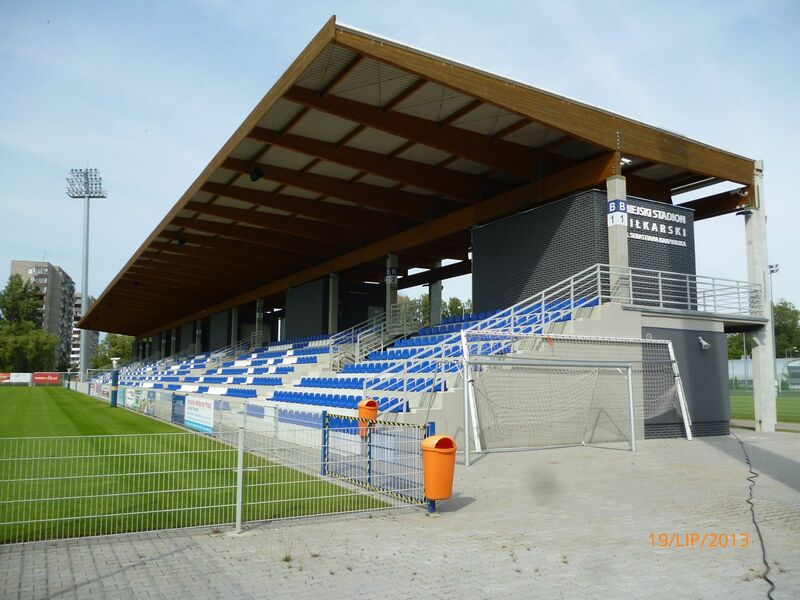 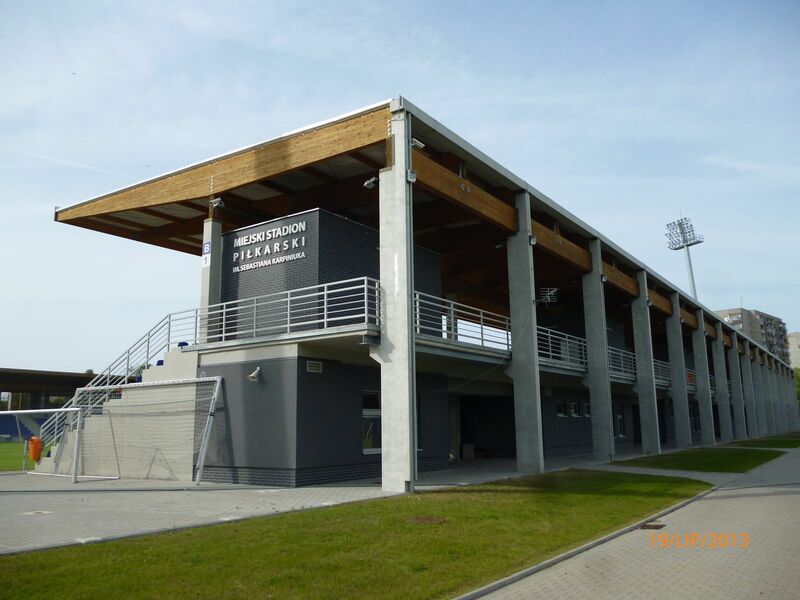 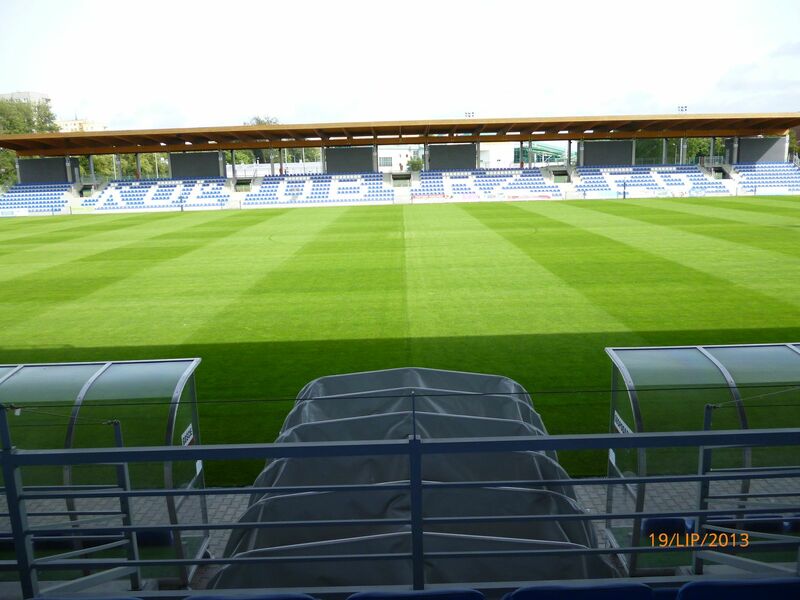 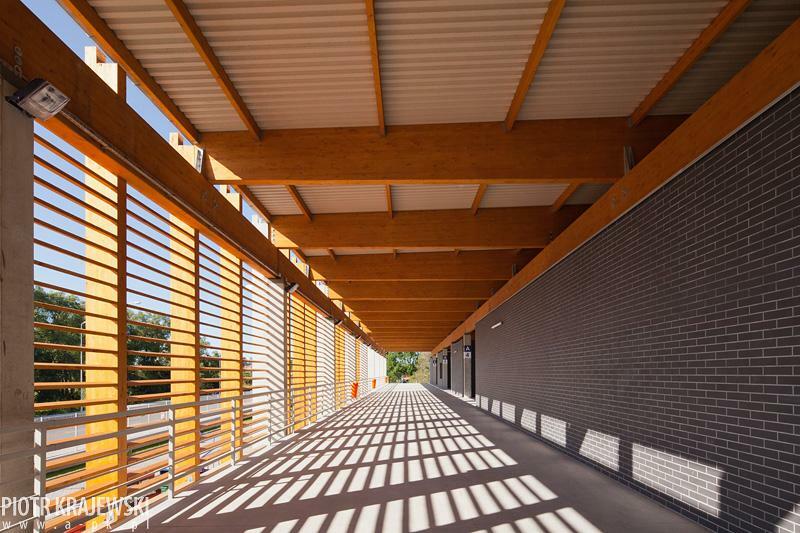 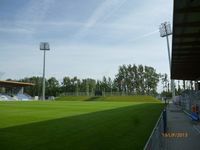 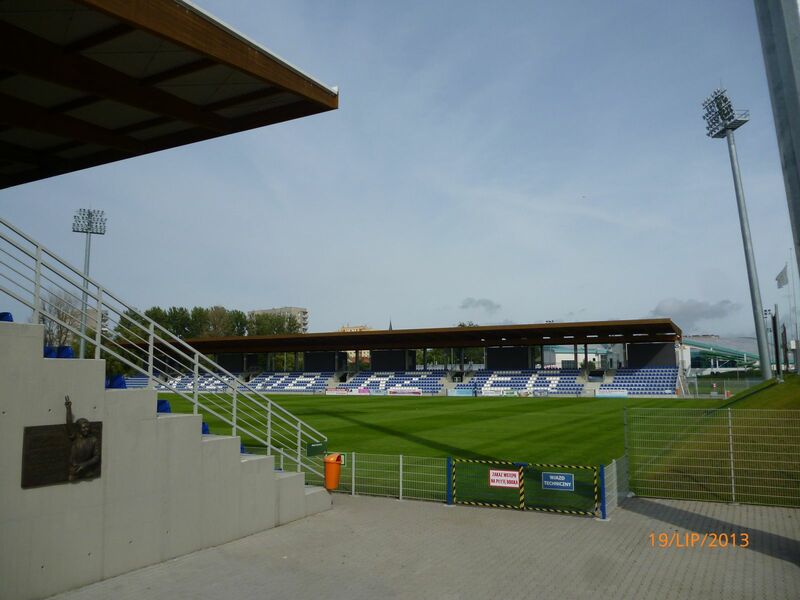 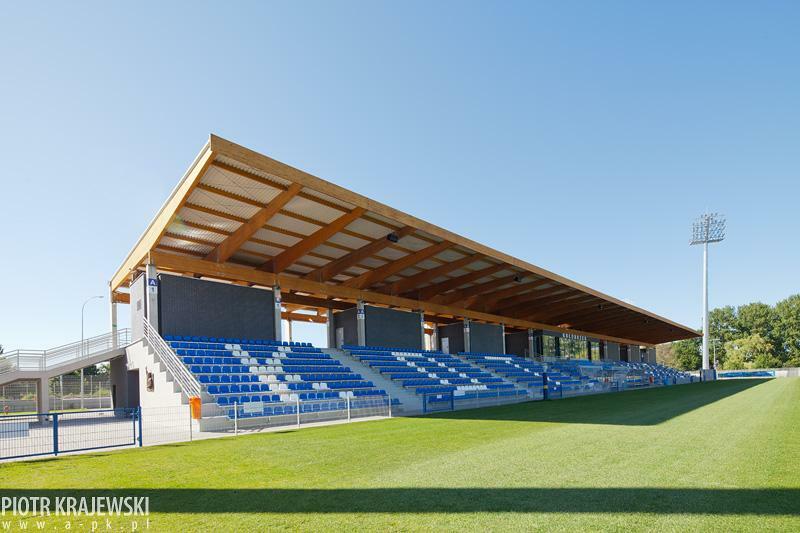 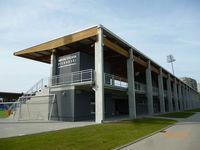 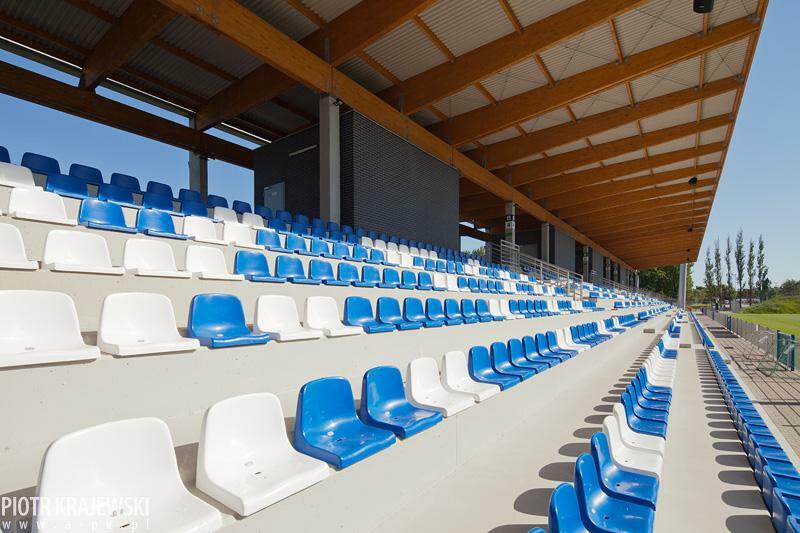 The stadium cost PLN 23.5 million, of which 13 million was a EU subsidy and the remainder from Kołobrzeg’s municipal budget. 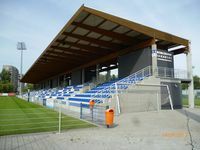 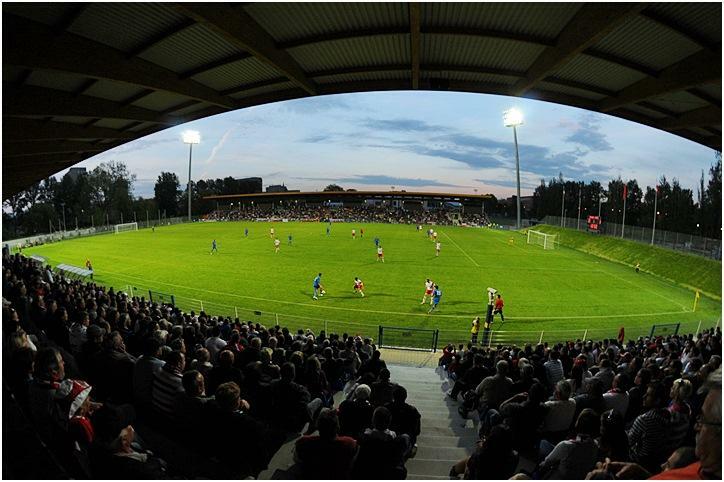 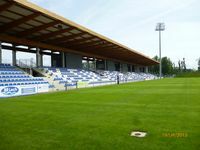 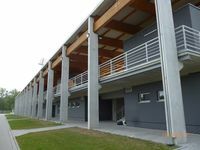 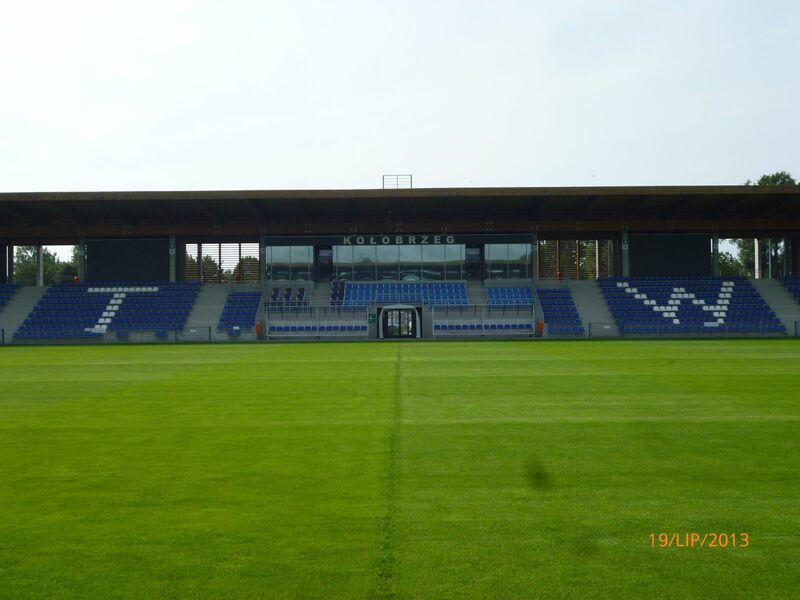 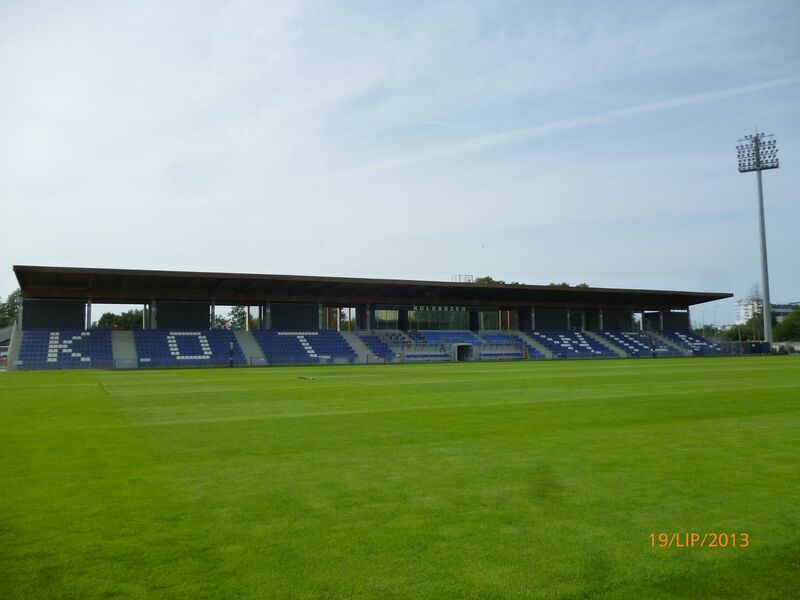 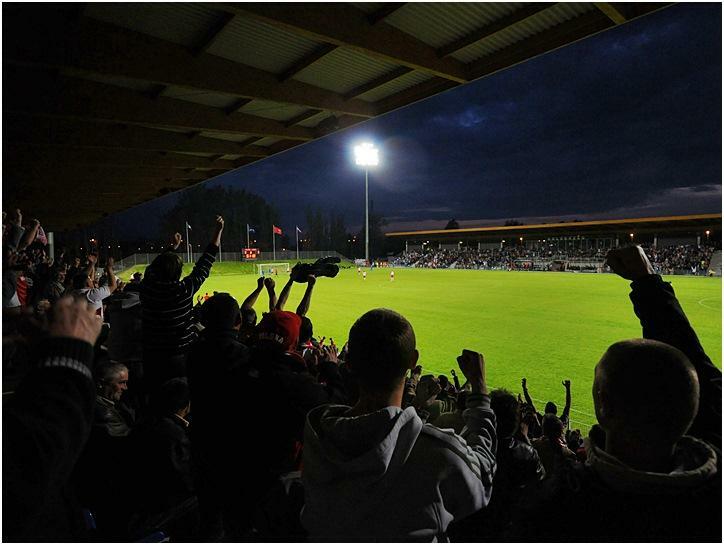 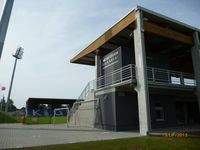 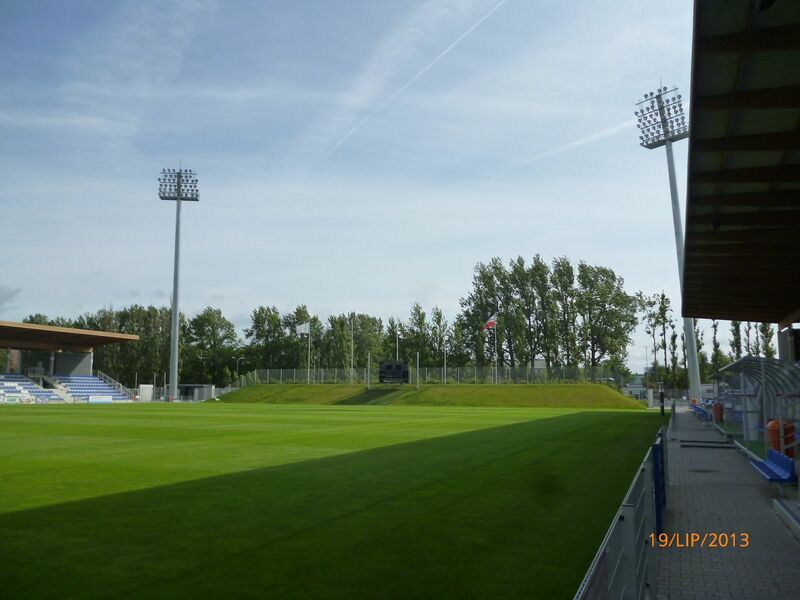 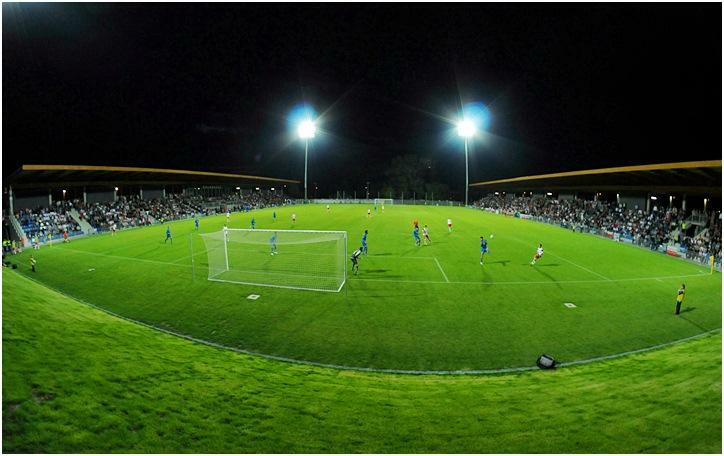 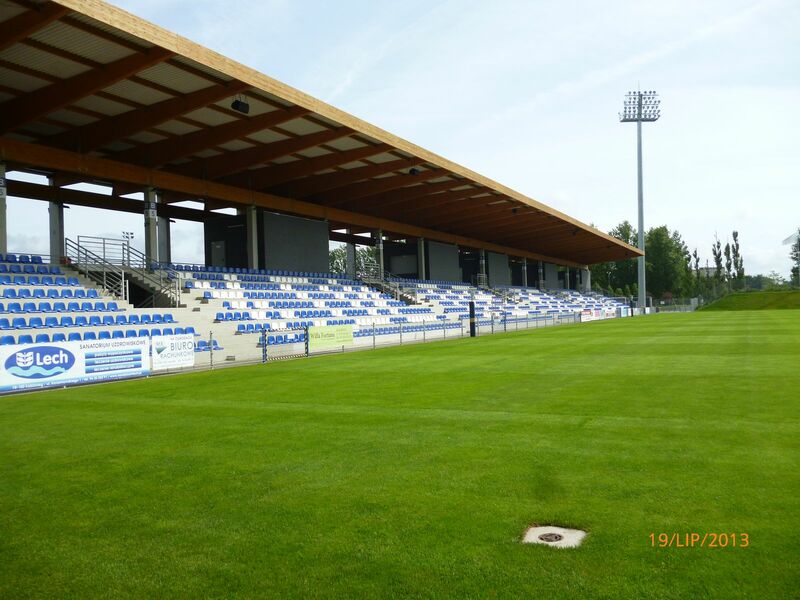 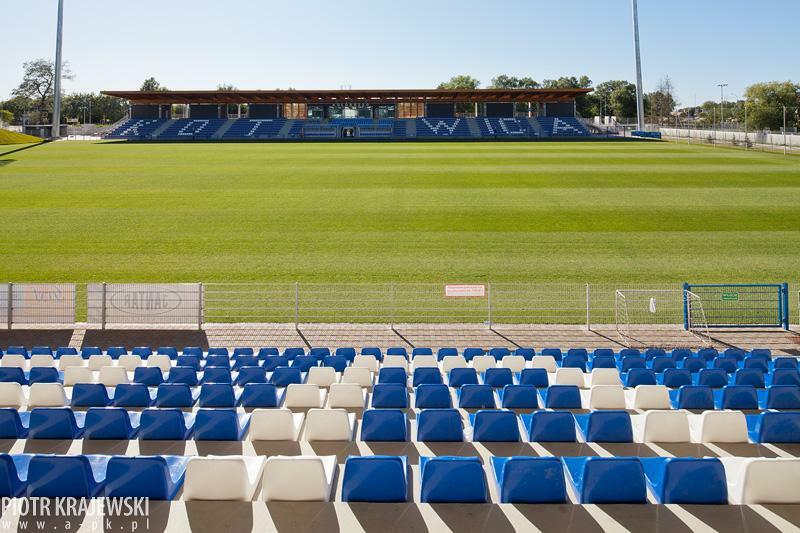 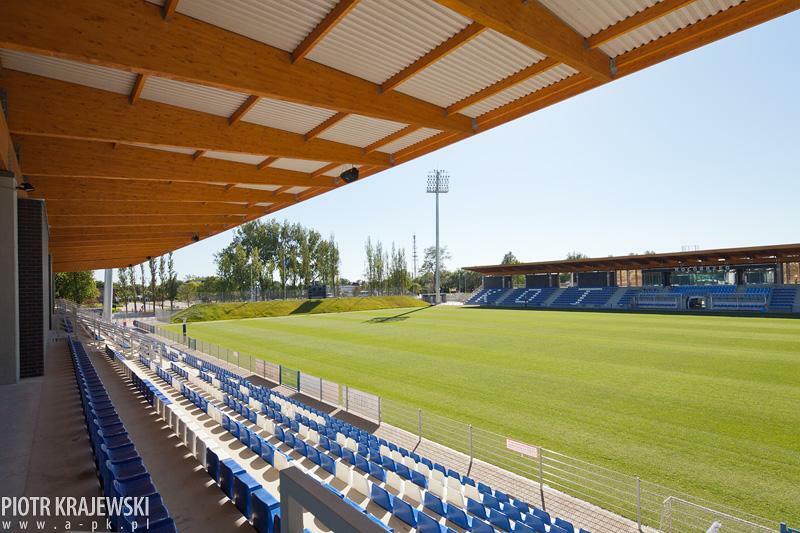 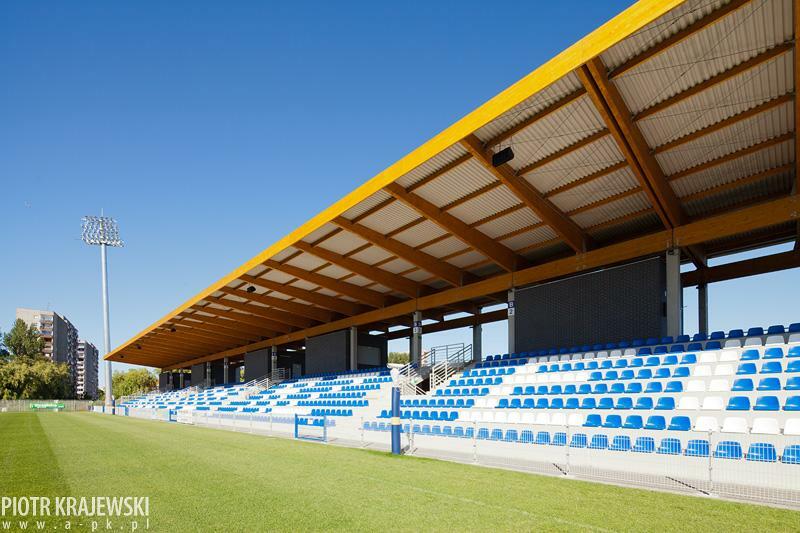 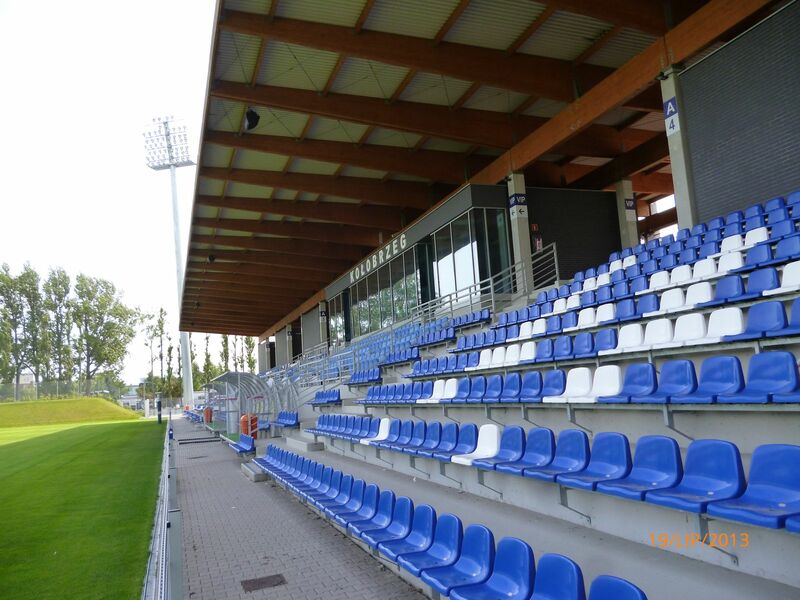 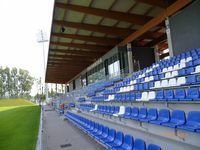 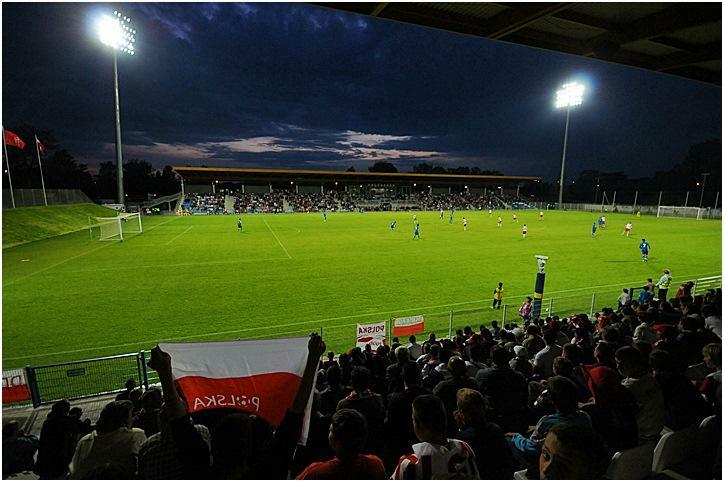 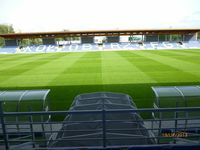 Day-to-day use is provided by local team Kotwica, though the ground was used internationally on various occasions, first as a U19 Euro qualifying ground of Poland, Italy and Ireland and later as the training base of Denmark for Euro 2012.